The privately owned stallion Belissimo M was crowned Hannoveraner Stallion of the Year. 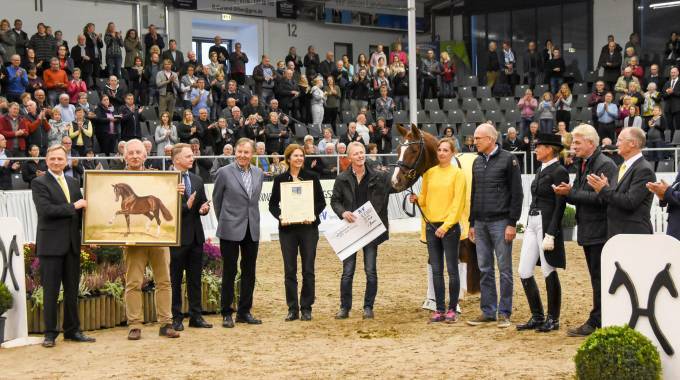 Verden, 29 october 2018 - The audience in the sold out Niedersachsenhalle stand up when he entered: The privately owned stallion Belissimo M was crowned Hannoveraner Stallion of the Year. His breeder Dieter Niesar from Kranenburg received the valuable award during the show program of the stallion licensing with the cheers of the audience.